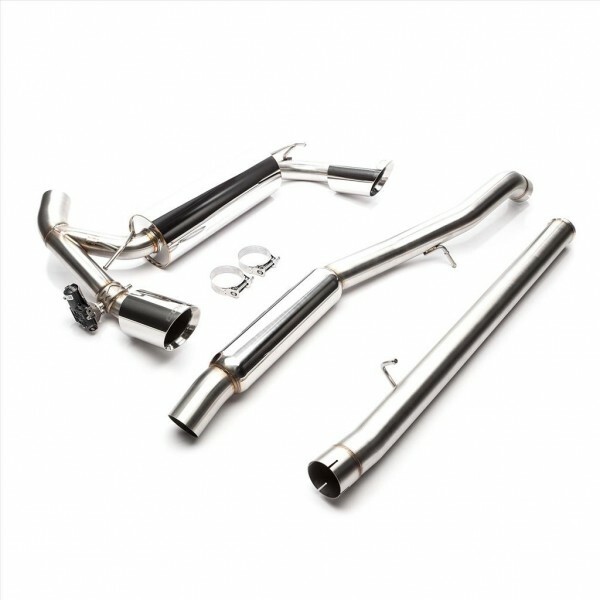 Our 3" Stainless Steel Dual Tip Cat-Back for the Ford Focus RS is a direct replacement cat-back exhaust that boasts full 304 stainless steel construction, custom inline straight through resonator plus muffler, and dual polished 4.5" double-wall slash cut tips. Our exhaust also features the same OEM exhaust valve found in the stock cat-back, so there is no need to remove and transfer the original unit. The exhaust valve is a direct plug and play connection that is controlled via the in car drive modes that work perfectly with our OTS maps or a custom Pro-Tune. This cat-back checks all the boxes. It sounds very aggressive when it's "race-car" time with the exhaust valve open, but retains OEM like convenience and noise reduction when needed with the valve closed. Plus increased flow that is ready to handle big increases in power gives you big performance potential along with the big sound!